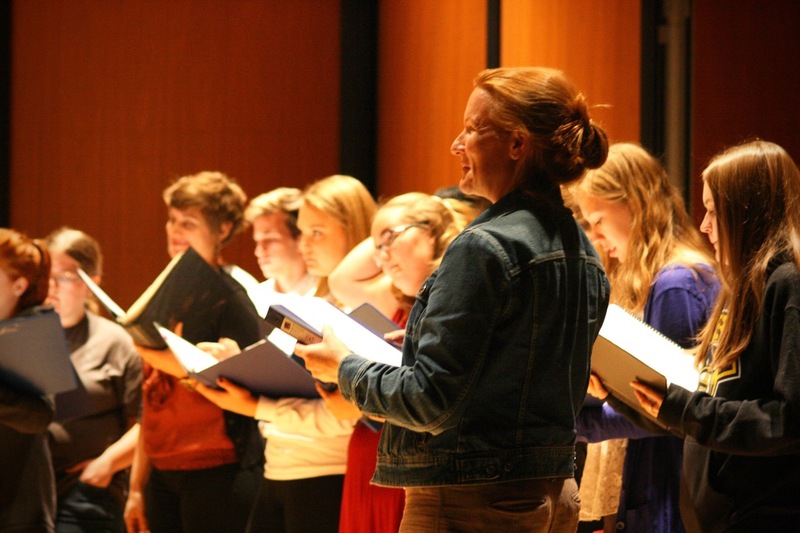 "Skylark's passion for choral music is infectious! But, it is more than just passion about making incredible music. The artists are so warm, approachable, and friendly. 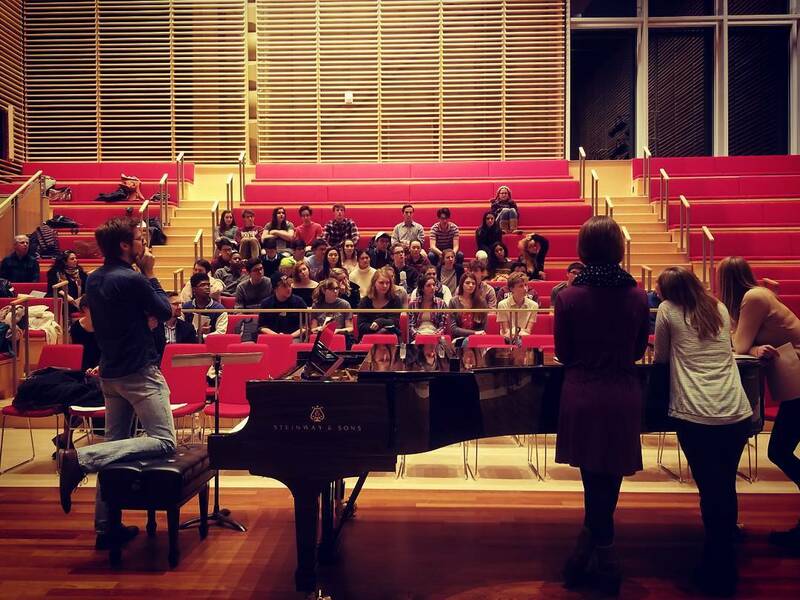 My students were blown away when they performed for us, but they were even more blown away when each artist worked with them in sectionals giving them amazing insights and tips. 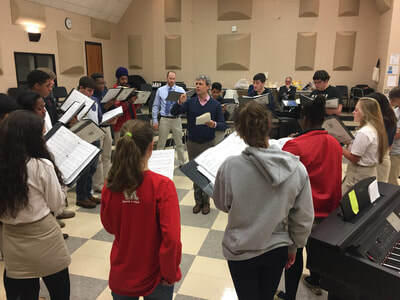 I appreciate them for not only the stellar level of choral artistry they are creating but for their commitment to inspire and encourage young choral students!" 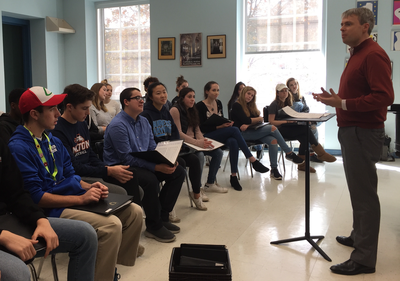 A core part of Skylark's Mission promoting the future of choral music in society through educational outreach. A cornerstone of this effort is the Skylark in Schools Program. As part of our concert projects, Skylark Artists often visit high schools and colleges to collaborate between our professional choral singers and students. 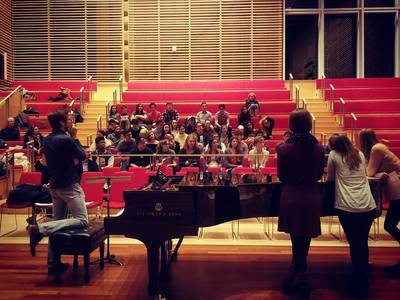 In addition to numerous outreach workshops in public schools across the country, Skylark has conducted residencies at premier colleges and elite secondary schools including Harvard, MIT, Wellesley College, Endicott College, Milton Academy, Woodward Academy, and Philips Exeter Academy. ​"Matthew, Chris, and the entire ensemble were warm, kind, generous and enthusiastic teacher-artists as they worked with our students. They worked carefully to tailor the experience to our kids’ needs and the larger pedagogical goals I’m working towards with the ensemble. 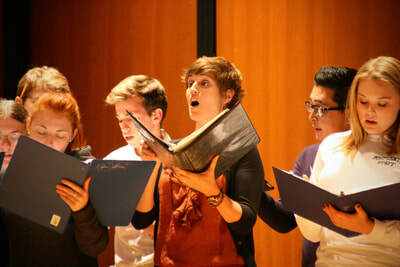 Singing a Monteverdi madrigal, the air of collaboration and excitement was positively electric. An infectious spirit filled the hall, and it seemed that all were warmed by making music together. I know that our students will remember this experience throughout their lives. They walked away with heightened ideas of technique, language, interpretation, and style. 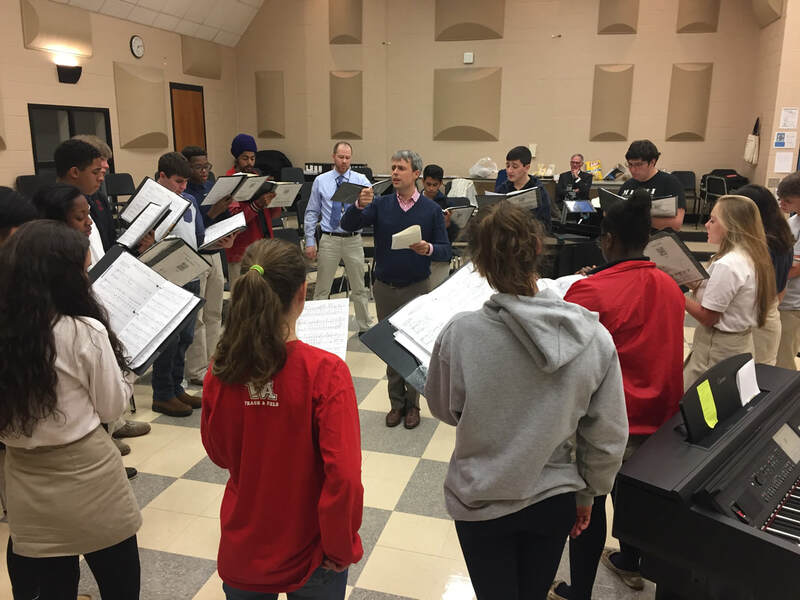 More importantly, they saw futures for themselves in singing this music reflected in the caring musicians in front of them." 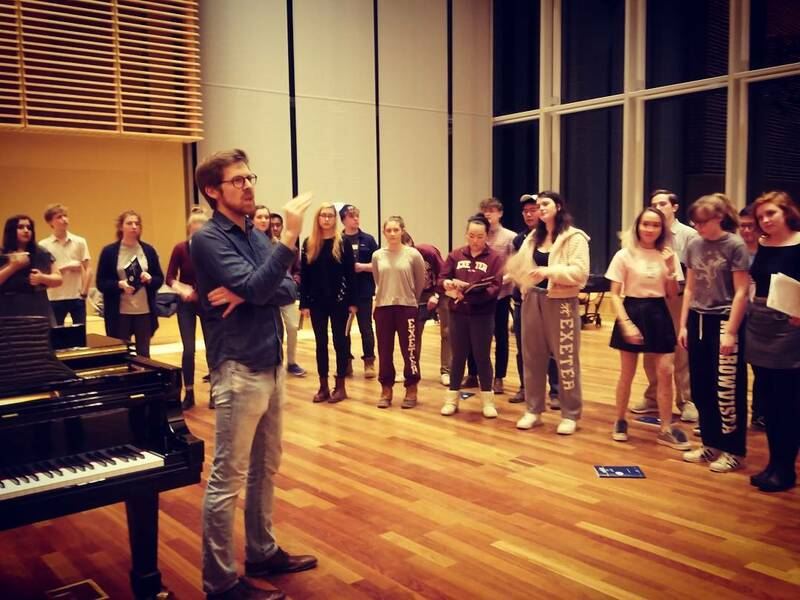 Email our Director of Education Dr. Christopher Jackson at christopher.jackson@skylarkensemble.org to discover future collaborative opportunities. We look forward to hearing from you!